(Inside Science) -- You've probably experienced it: Your friends want to sit on a restaurant patio and you grudgingly go along even though it is clearly too cold to eat outside. It turns out, some fish know exactly how you feel. They will forego their own preferred temperature to stay with the group. Many fish like to hang out in schools, because it gives them a better chance to avoid predators, and to find mates and food. But, like humans, fish are also individuals with a variety of behaviors and environmental preferences, so they often need to compromise. 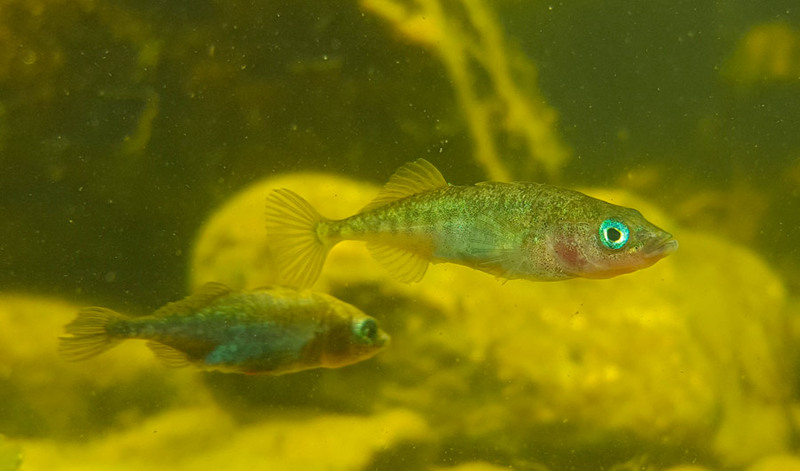 Killen first figured out what temperature a bunch of individual three-spined stickleback fish preferred -- it turned out there was a huge range of more than 10 degrees Celsius -- and then tempted them with friends to see if they would move away from their comfort zone. In general, the fish spent more time with the group if it was close to their preferred temperature, but particularly social individuals were willing to deviate the most from their comfort zone to stay with the group at cold temperatures. Killen also looked at whether differences in metabolic rate -- how much energy a fish uses -- had influenced their behavior. Metabolism had no direct effect on temperature preference or their willingness to compromise, but there was an indirect link. Fish with a higher metabolic rate tended to be less social. Fish with faster metabolisms need more energy, so might stay on the edge of the group to avoid competition for food, Killen said. The results are published in the journal Proceedings of the Royal Society B.
Jolles said social animals constantly need to make compromises in order to conform to a group, something that is most clear in the speed the group moves. “All individuals need to be moving at more or less the same speed to not risk splitting apart,” he said.